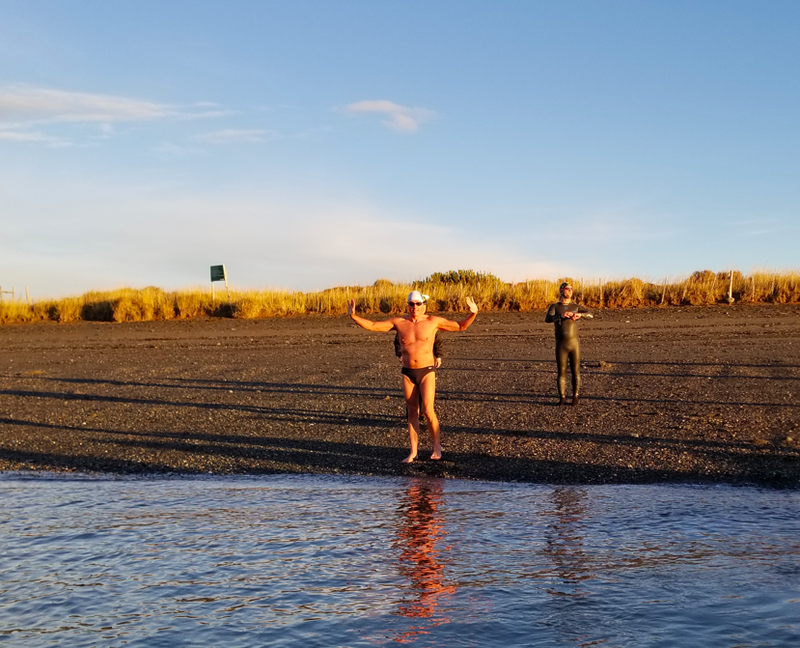 Stephen Junk swam across the Strait of Magellan from mainland Chile to Tierra del Fuego. "It was stunning weather, but very cold water. I had some sea life around me including a penguin and a sea lion. I had great support from Cristian Vergara and Julieta Nunez of Patagonia Swim and also some very special help from the Chilean navy that provided physical support and support afterwards in bringing my body back to normal temperature. We had some wonderful training beforehand on the beach at Punta Arenas." Junk was the first Australian and oldest individual to cross the Strait of Magellan. 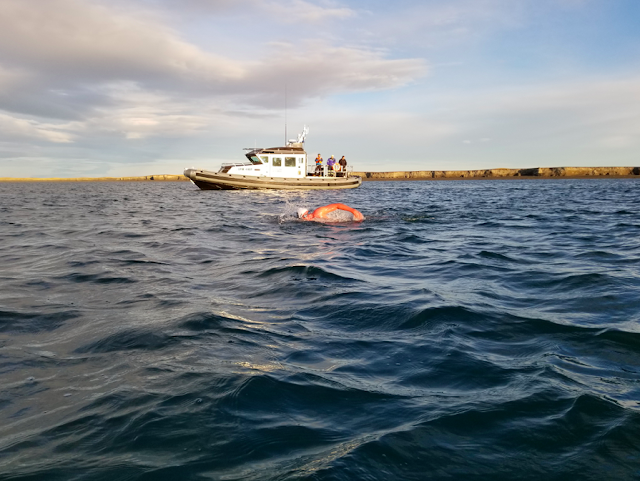 "I now feel confident of swimming the North Channel in August."